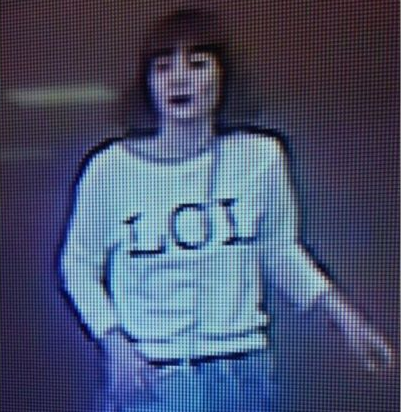 One of the two women suspected of assassinating Kim Jong-un's brother wore a shirt with "LOL" written on it. CCTV images released by Malaysian authorities show the suspects lurking in Kuala Lumpur airport; reports variously have them using needles or a spray to poison Kim Jong-nam, who died en-route to hospital. In a scene out of a James Bond film, the toxic spray-wielding femme fatales targeted 45-year-old Jong Nam – the globetrotting black sheep of his North Korean ruling class family — in the airport’s departure hall on Monday morning. The women – believed to be North Korean agents – unleashed the noxious fumes in the face of Jong Nam as he waited for a flight to Macau, China. Jong Nam staggered to a receptionist, indicating that he was on the verge of passing out and suffering a mild seizure, police said. Nam would be running the hermit kingdom but for several embarrassing episodes (such as being arrested trying to visit Tokyo Disneyland on a false passport) that saw his younger brother rise in their now-dead father's eyes.